During the installation of your over-the-range microwave, you likely have the option of adding a ventilation system to vent smoke and steam or to utilize a charcoal filter to recycle the air. While both options have their benefits and drawbacks, the final installation method often is determined by construction of the home. 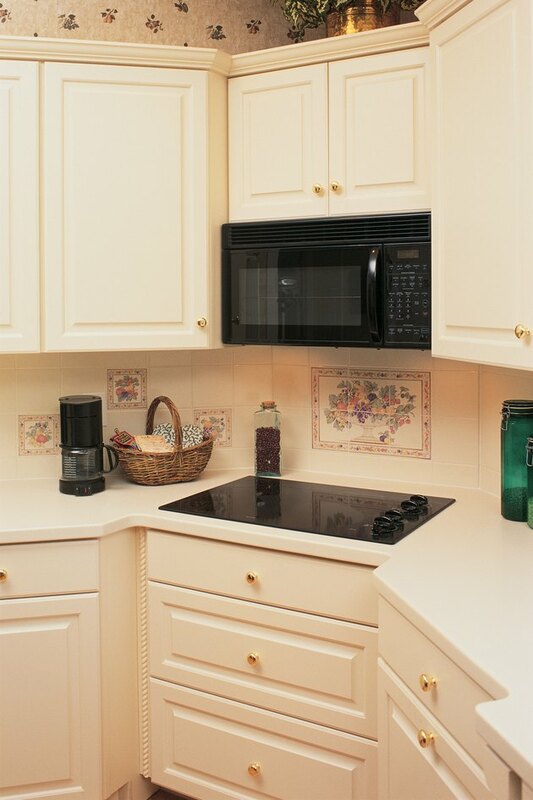 An over-the-range microwave often replaces a traditional hood fan. Virtually all building codes require a ventilation system installed over the kitchen stove. This ventilation system has a light that illuminates the stovetop surface and a fan that removes smoke and steam from the air. Over-the-range microwaves have a light and fan built into the bottom of the appliance. After the smoke and steam are removed, the filtered fan vents the air outside your home or cleans it before releasing it back into the kitchen. If your microwave has a physical vent installed, the appliance pushes the removed air through a series of ducts, eventually porting the air outside. This type of installation is not for the faint of heart, as the ducts must be run from the cabinet above the microwave to the exterior of your home. Many microwaves utilize a charcoal filter to clean the air by trapping airborne pollutants before releasing air back into the kitchen. The filter, while not as efficient as a dedicated ventilation system, provides significantly cleaner air than what was removed from the stove. While the ventilation system is the best means of ensuring the cleanest air, it's not always the easiest option. In many instances, installing this type of system in a preexisting home is expensive and time-consuming. Charcoal filters are an excellent alternative as no remodeling is needed for their use. Charcoal filters must be replaced every six months or sooner, depending on frequency of use.